The Garden City put on a good weather show for us today. It was sunny and warm with a gentle sea breeze to help kick off the field trip. We made our way to the Environment Canterbury office this morning. Here we met Marion Schoenfeld. 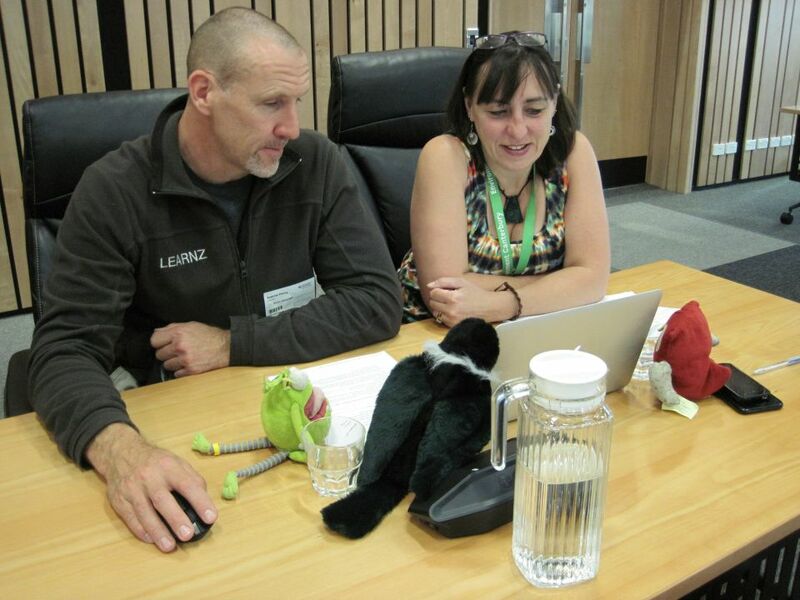 Marion was our expert on the web conference where we had Rangiora Borough asking the questions. Remember you can listen to a recording of the web conference at any time – just go to the Web Conferences page on the field trip website for the link. It was great to have a range of questions posted in the LEARNZ Adobe Connect room too. Those questions were answered following the formal part of the web conference. Go to http://connect.vln.school.nz/learnz/ tomorrow at 9:15am to enter the LEARNZ Adobe Connect meeting room to take part during the live What’s the Plan, Stan? web conference sessions. After the web conference the ambassadors and I went with Marion up to Kairaki Beach, near Kaiapoi. Here the Waimakariri River flows out to sea. You could tell it was whitebait season, as there were quite a few people trying their luck for a feed. It was a good place to have a chat with Marion about tsunami. Tsunami can be created close to our shore, or from the other side of the world. Most of them are small by the time they get here but they can still create strong currents in the sea, or even in rivers like the Waimakariri. In a tsunami, all the whitebaiters at the river mouth would be in danger. This is why Civil Defence put out warnings for even small tsunamis. There might not be time for Civil Defence to put out a warning if a tsunami is created close to shore. If you are near the coast and feel a long or strong earthquake, move inland straight away. Don’t wait for someone to tell you to go. Marion said that to find out if you are in an area that could be affected by a tsunami, go to your local regional or city/district council website. You will be able to find your local evacuation zones there. It is much better to do this before a tsunami happens, than while one is happening! In an official tsunami warning, you can get information on the TV, on the radio, and on your local council website. You can also get mum or dad to follow your local council on Twitter or Facebook, as they will also post information on there during a tsunami. We went for a stroll a bit further up the river to talk about New Zealand’s most common natural hazard – floods. Marion explained that many of New Zealand’s towns and cities are on floodplains. This is because rivers provided transport and drinking water, and lots of fertile land nearby for growing food. Flooding is managed by keeping water away from people, and keeping people away from water. The keeping water away from people bit includes building stopbanks to keep water in the river during a flood. Stopbanks cost a lot of money to build and maintain though, and will only keep a certain amount of water in the river. Once the flood is bigger than the flood the stopbank is designed for, then you are still in trouble. The keeping people away from water bit includes mapping which areas are most likely to flood. This can help people make better decisions about how and what to build in these areas. Ideally, we wouldn’t build in areas that could flood. But there are lots of good reasons why people want to live next to rivers, so it is a matter of finding a balance between the two. After seeing some of the whitebait people had caught, I began to get hungry. So before making our way to the next location it was time to grab some lunch. The next place we visited was Redcliffs School, or what used to be a school. It was closed after the February 2011 Canterbury earthquake. You can see in the video and some of the images how the cliffs behind the school came tumbling down during the shaking from this earthquake. As we also saw from the Kaikoura earthquake, landslides are common during earthquakes – two hazards for the price of one! As Marion explained, New Zealand is right on the boundary of two giant tectonic plates that are moving towards each other. There is a lot of squishing and squeezing going on, and we get a lot of earthquakes! Some places get more than others, but anywhere in New Zealand can get a damaging earthquake. As we’ve seen in the last few years, earthquakes make the ground shake – which causes other things to happen too. Rocks and big pieces of land can head downhill, and wet, loose soil can liquefy, which means it turns into more of a liquid than a solid. Also, if the fault that caused the earthquake is big enough, the movement that happens on the fault can make a big rip in the ground right up to the surface. This is one of the ways New Zealand is shaped – through millions of years of earthquakes moving rocks and land around. Our final location for today was Summit Road, on the Port Hills. This was a good place to view damage caused by fire earlier this year in Christchurch. Marion told us that the threat of wildfire is not as high as places like Australia or North America, but we do still get wildfires. Some of them can cause a lot of damage, like the Port Hills fire. I was amazed to learn that Fire and Emergency NZ crews get called to between 3000 and 4000 wildfires every year, mostly during the summer. Most of these fires are put out very quickly and only affect small areas. 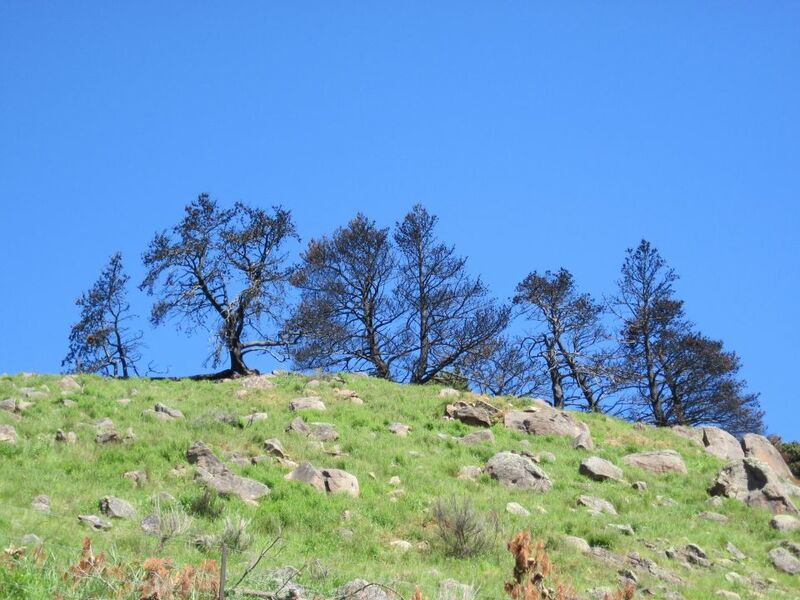 How quickly a wildfire spreads depends on the weather – how hot, dry and windy it is; what plants are around and how easily they burn; the shape of the land – fire spreads more easily when it heads uphill. There was a lot of new learning for me today. I hope you have also had an interesting day learning about natural hazards. Watch the videos for more information. You could also check out the Life at the Boundary field trip. This field trip takes place in two weeks’ time, and will be an ideal follow up to What’s the Plan, Stan? Andrew and the ambassadors listen as Marion Schoenfeld from Environment Canterbury answers another question on this morning's web conference. Image: LEARNZ. 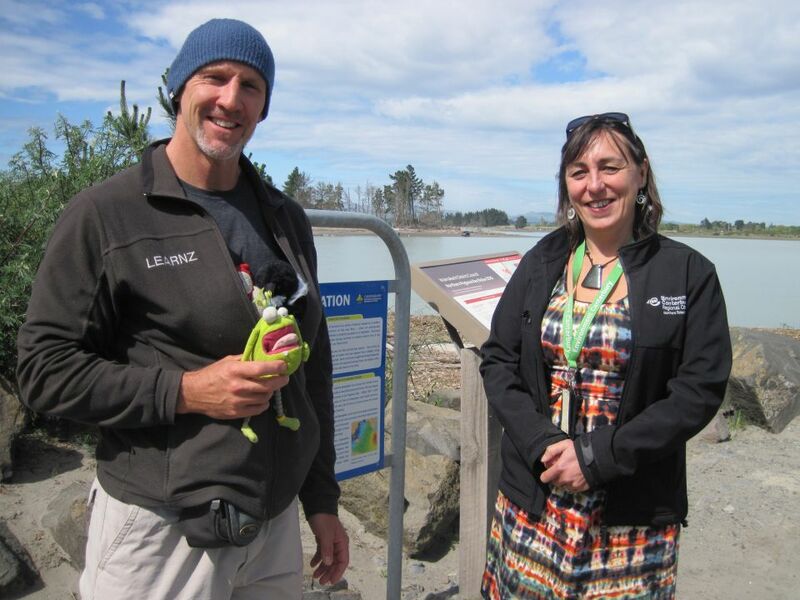 Andrew and the ambassadors with Marion Schoenfeld at the mouth of the Waimakariri River. Image: LEARNZ. 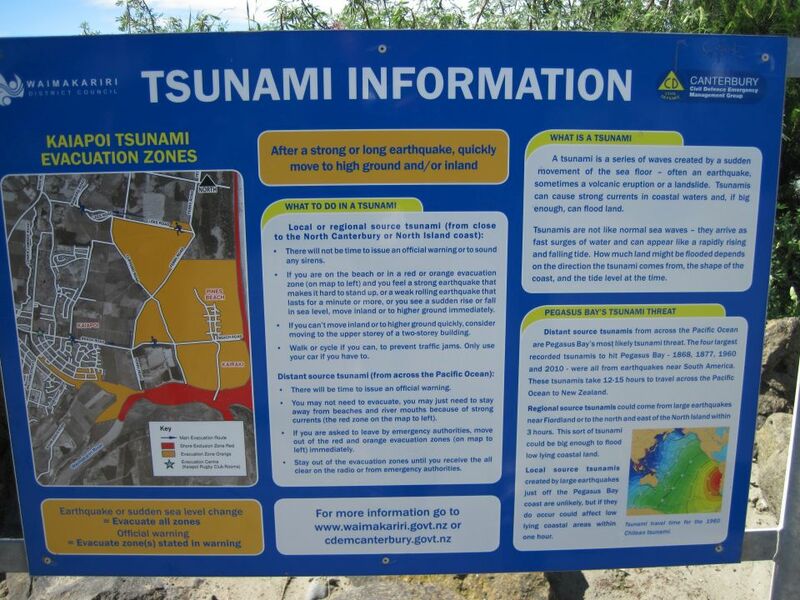 A Tsunami information panel at Kairaki Beach. Do you know what to do and where to go if there is a tsunami warning near your place? Image: LEARNZ. 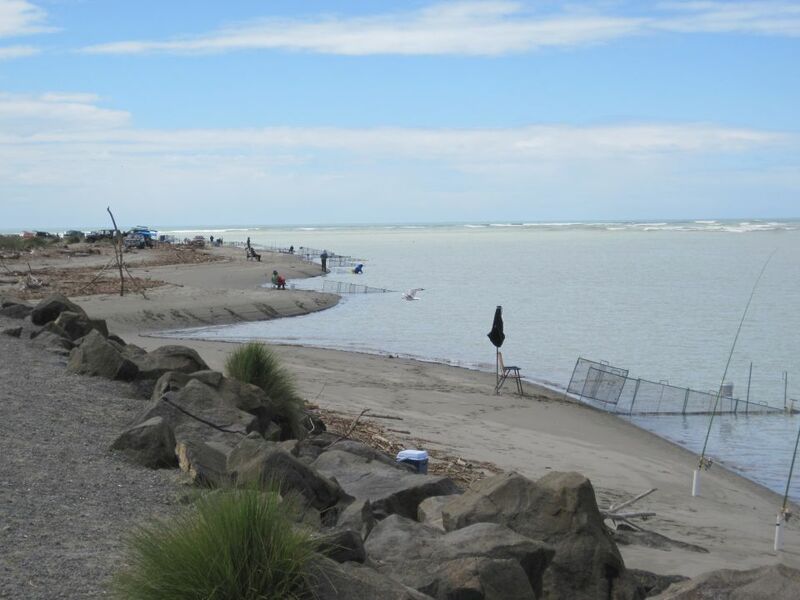 Even a small tsunami could cause difficulty for people such as these whitebaiters at the mouth of the Waimakariri River. Image: LEARNZ. A rock fall near Sumner Beach, caused by the 2011 canterbury earthquakes. 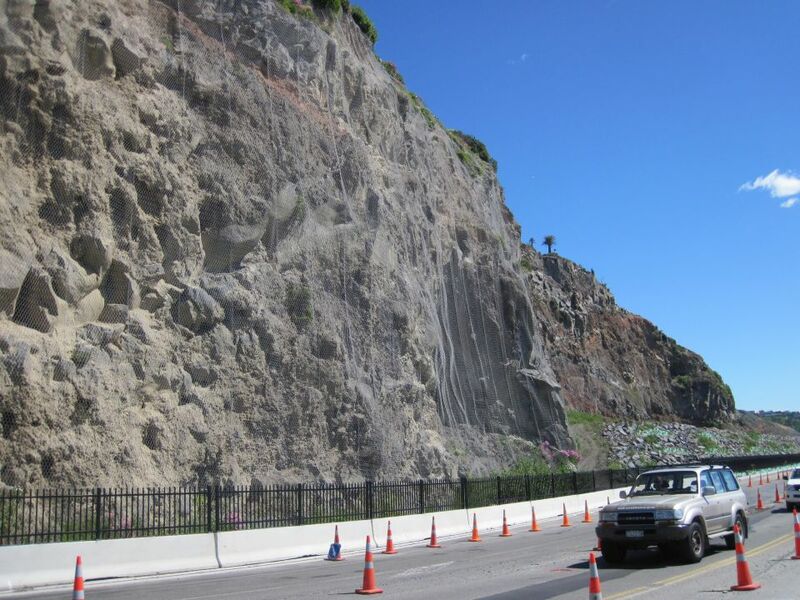 How has this rock fall been managed to keep the public safe from further danger? Image: LEARNZ. 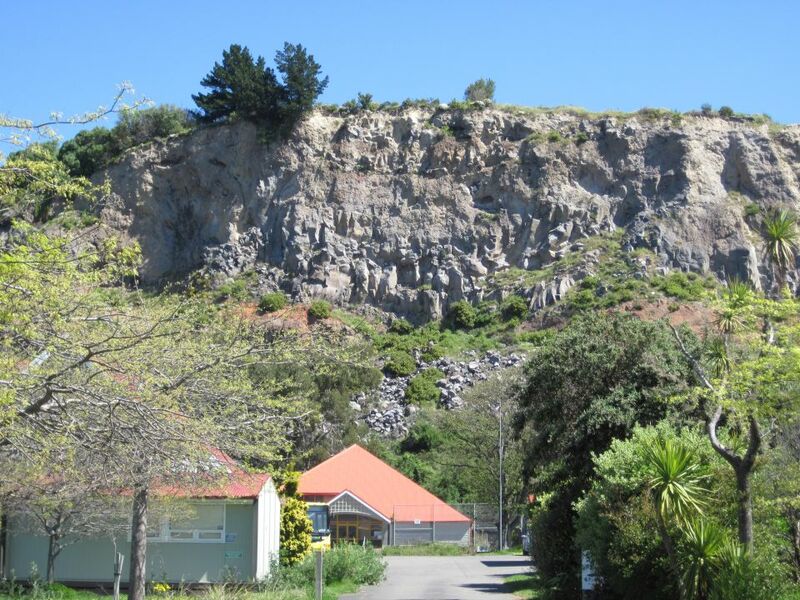 The landslide behind Redcliffs School must have been a scary experience. Image: LEARNZ. 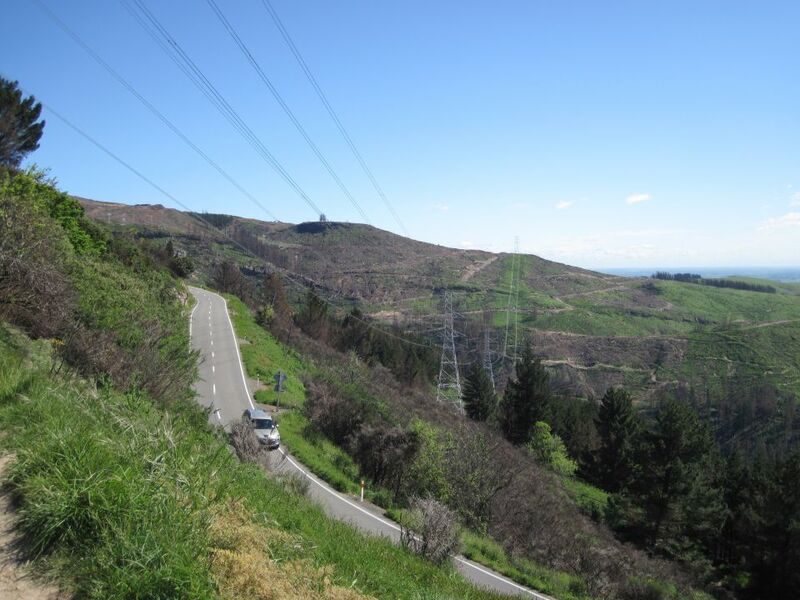 Looking towards the location of Adventure Park before the 2017 Port Hills fire wiped out most of the trees. Image: LEARNZ. Charred remains from the 2017 Port Hills fire. Image: LEARNZ. 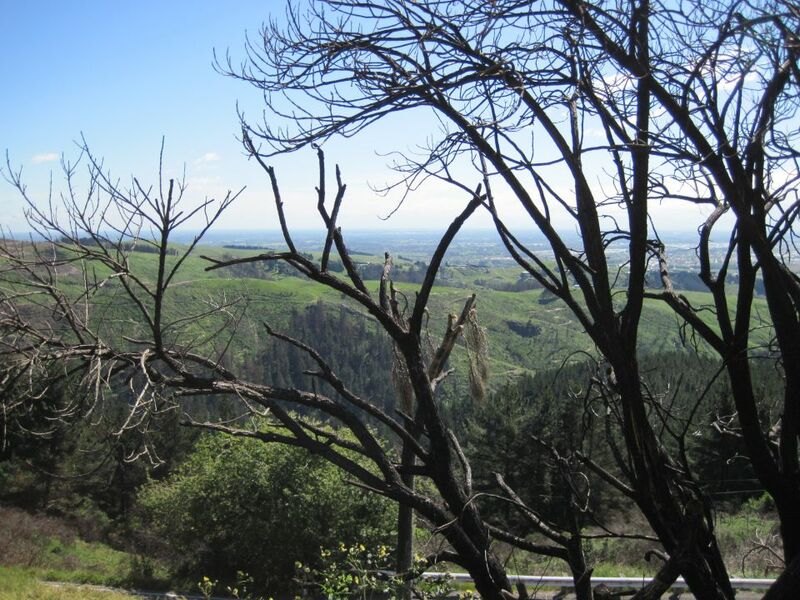 Haunting images of burned pine trees near the top of the Port Hills after the 2017 fire. Image: LEARNZ.